CreationEvolutionDesign, minus your personal identifying information. Your words are bold to distinguish them from my comments. >... My question concerns the famous statement of Sir Fred Hoyle about the 747, the tornado, and the junkyard. I have the page from your site with the exact quote from "The Intelligent Universe". "If you stir up simple nonorganic molecules like water, ammonia, methane, carbon dioxide and hydrogen cyanide with almost any form of intense energy ... some of the molecules reassemble themselves into amino acids ... demonstrated ... by Stanley Miller and Harold Urey. The ... building blocks of proteins can therefore be produced by natural means. But this is far from proving that life could have evolved in this way. No one has shown that the correct arrangements of amino acids, like the orderings in enzymes, can be produced by this method. .... A junkyard contains all the bits and pieces of a Boeing 747, dismembered and in disarray. A whirlwind happens to blow through the yard. 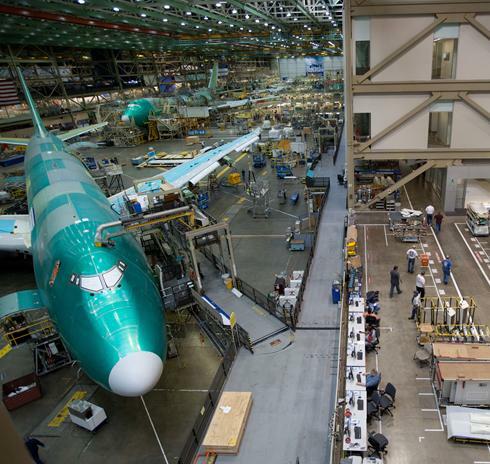 What is the chance that after its passage a fully assembled 747, ready to fly, will be found standing there? So small as to be negligible, even if a tornado were to blow through enough junkyards to fill the whole Universe." (Hoyle, F., "The Intelligent Universe," Michael Joseph: London, 1983, pp.18-19). "Hoyle said last week that ... the origin of life ... the information content of the higher forms of life is represented by the number 1040 000 - representing the specificity with which some 2,000 genes, each of which might be chosen from 1020 nucleotide sequences of the appropriate length .... The chance that higher life forms might have emerged in this way is comparable with the chance that `a tornado sweeping through a junk-yard might assemble a Boeing 747 from the materials therein'. " (Hoyle, F., in "Hoyle on evolution," Nature, Vol. 294, 12 November 1981, p.105). The above quote is a bit confusing because it conflates "the origin of life" with "the higher forms of life." "... enzymes are a large class of molecule that for the most part runs across the whole of biology, without there being any hint of their mode of origin. ... Enzymes are polypeptides (proteins) .... their function. ... is determined by the particular sequence of amino acids in the polypeptide structure. .. There are ... twenty distinct amino acids ... and these simply must be in the correct position in the polypeptide structure. ... The chance of obtaining a suitable backbone can hardly be greater than one part in 1015, and the chance of obtaining the appropriate active site can hardly be greater than one part in 105. .... The two small probabilities ...have to be multiplied, when they yield a chance of one part in 1020 of obtaining the required enzyme in a functioning form. .... there are about two thousand enzymes, and the chance of obtaining them all in a random trial is only one part in (1020)2000 = 1040,000, an outrageously small probability .... this simple calculation wipes the idea entirely out of court." (Hoyle & Wickramasinghe, "Evolution from Space," 1981, pp.19-21). "... for a relatively small protein of 100 amino acids, selection of this correct sequence had to be made by chance from 10130 alternative choices. ... The probability of such a chance occurrence leading to the formation of one of the smallest protein molecules is unimaginably small. Within the boundary conditions of time and space which we are considering, it is effectively zero." (Brooks, "Origins of Life," 1985, pp.84-85). ".. why the random self-assembly of proteins seems a non-starter. .... Proteins ... are very specific amino acid sequences ... the number of alternative permutations ... of amino acids is super-astronomical. A small protein may typically contain 100 amino acids of 20 varieties. There are about 10130 ... different arrangements of the amino acids in a molecule of this length. .... Getting a useful configuration of amino acids from the squillions of useless combinations ... [would be] like trying to track down a site on the internet without a search engine." (Davies, "The Fifth Miracle," 1998, p.61). "... the entire mass of the universe, expressed as a multiple of the mass of the hydrogen atom, amounts to about 1080 units. ... Even the smallest catalytically active protein molecules of the living cell consist of at least a hundred amino acid residues, and they thus already possess more than 10130 sequence alternatives ... ... a primitive organism has about the same chance of arising by pure chance ... as a general textbook of biochemistry has of arising by the random mixing of a sufficient number of letters." (Kuppers, "Information and the Origin of Life," 1986, p.60). "Theoretical and experimental studies designed to discover the bare minimum number of gene products [proteins and RNAs] necessary for life all show significant agreement. Life seems to require between 250 and 350 different proteins to carry out its most basic operations. That this bare form of life cannot survive long without a source of sugars, nucleotides, amino acids, and fatty acids is worth noting." (Rana, F.R. & Ross, H.N., "Origins of Life: Biblical And Evolutionary Models Face Off," Navpress: Colorado Springs CO, 2004, pp.162-163). "Genome Size ... The data indicate that the microbes possessing the smallest known genomes ... seems to suggest that, to exist independently, life requires a minimum genome size of about 1,500 to 1,900 gene products. ... all microbial genomes that fall below 1,500 belong to parasites." (Rana & Ross, Ibid, 2004, pp.161-162). "the ... free-living bacterium, Methanococcus, which has 1.7 million base-pairs and about 1700 genes, [is] perhaps close to the minimum necessary for independent life." (Patterson, "Evolution,"1999, p.23). >In Dawkins book (God Delusion) on Pg. 117, he mentions this statement of Hoyle's and implies that it was referring to natural selection and evolution. "Fred Hoyle was a brilliant physicist and cosmologist, but his Boeing 747 misunderstanding, and other mistakes in biology ... suggest that he needed to have his consciousness raised by some good exposure to the world of natural selection. At an intellectual level, I suppose he understood natural selection. But perhaps you need to be steeped in natural selection, immersed in it, swim about in it, before you can truly appreciate its power." (Dawkins, R., "The God Delusion," Bantam Press: London, 2006, p.117). This is Dawkins at his deceptive best (or worst). Dawkins had not shown that it was Hoyle's "Boeing 747 misunderstanding," nor that it had anything to do with "natural selection" (see below). And Dawkins admits of Hoyle that "At an intellectual level ... he understood natural selection" but one "need[s] to be steeped in natural selection" to "truly appreciate its power." Hoyle would no doubt respond that Dawkins has so "steeped" himself "in natural selection" that he cannot "truly appreciate" natural selection's lack of "power"! "As it became clear that the Darwinian theory could not be broadly correct, a question still remained, however, for I found it difficult to accept that the theory could be wholly incorrect. ... The issue was a mathematical one ... .... Eventually therefore, I decided to tackle this mathematics myself working de novo ... Although my results were all arrived at independently, some-perhaps most-have been obtained before. Their arrangement, however, is I believe original. ... And the outcome of this essay? Well as common sense would suggest, the Darwinian theory is correct in the small but not in the large. ... the theory works at the level of varieties and species ... the theory does not work at broader taxonomic levels; it cannot explain the major steps in evolution." (Hoyle, F., "Mathematics of Evolution," , Acorn Enterprises: Memphis TN, 1999, pp.5-6, 10). "The name comes from Fred Hoyle's amusing image of the Boeing 747 and the scrapyard. ... Hoyle said that the probability of life originating on Earth is no greater than the chance that a hurricane, sweeping through a scrapyard, would have the luck to assemble a Boeing 747. ... This, in a nutshell, is the creationist's favourite argument - an argument that could be made only by somebody who doesn't understand the first thing about natural selection ..." (Dawkins, 2006, Ibid, p.113). Note Dawkins' self-contradiction, that Hoyle, "doesn't understand the first thing about natural selection," yet four pages later Hoyle, "At an intellectual level ... understood natural selection"! >and Dawkins is clearly misleading his readers to blunt what he knows is a devastating attack on a "naturalistic" origin of life. "... how much luck are we allowed to assume in a theory of the origin of life on Earth? ... when both DNA and its protein-based replication machinery spontaneously chanced to come into existence. We can allow ourselves ...such an extravagant theory ... provided that the odds against this coincidence occurring on a planet do not exceed 100 billion billion to one." (Dawkins, Ibid, 1986, pp.143,146). But unfortunately for Dawkins, "1 in 100 billion billion" is only 1 in 1020 (i.e. 102*109*109 = 102+9+9). That is not enough for the chance assembly of a specific chain of 15 (2015 = ~1019.5) amino acids, i.e. not even enough for one protein! >Dawkins by his own admission understands that all origin of life theories are nothing more than speculation. Do you think I understood it correctly? "The account of the origin of life that I shall give is necessarily speculative; by definition, nobody was around to see what happened." (Dawkins, "The Selfish Gene," 1989, pp.14-15). "So, can we come up with any speculations about relatively probable ways in which cumulative selection might have got its start? .... We can hope for nothing more than speculation when the events we are talking about took place four billion years ago ... in a world that must have been radically different from that which we know today." (Dawkins, Ibid, 1986, p.147). "But how did the whole process start? .... Most, though not all, of the informed speculation begins in what has been called the primeval soup .... Nobody knows how it happened but, somehow ... a molecule arose that just happened to have the property of self-copying...." (Dawkins, "Climbing Mount Improbable," 1996, p.259). "Life may be common in the universe, but we are also at liberty to speculate that it is exceedingly rare. It therefore follows that the kind of event we are seeking, when we speculate about the origin of life, could be a very very improbable event ... my intuition is still that the arising of life on a planet is not all that unexpected an event" (Dawkins, Ibid, 1996, p.261). >I did not see this particular quote on your site, but it's cute so I'm sending it to you. In an article found on American Scientist Online ["The Beginnings of Life on Earth"] Nobel Prize winner Dr. Christian DeDuve writes "how this momentous event [origin of life] happened is still highly conjectural, though no longer purely speculative.."
>I guess what he really meant was that it's highly speculative, though no longer purely conjectural. In other words, de Duve and his materialistic-naturalistic ilk would rather believe a false explanation of the origin of life that avoided "teleology," than a true explanation that "proceeded with the benefit of foresight" by God! My other blogs: TheShroudofTurin & Jesus is Jehovah! "This generalized proposition-that processes of chance and natural law led to living organisms emerging on Earth from the relatively simple organic molecules in 'primordial soups'-is valid only if there is a finite probability of the correct assembly of molecules occurring within the time-scale envisaged. Here there is another great problem. In the above example for a relatively small protein of 100 amino acids, selection of this correct sequence had to be made by chance from 10130 alternative choices. The operation of pure chance would mean that within a maximum of about 500 million years (or somewhat less), the organic molecules in the 'primordial soup' might have to undergo 10130 trial assemblies to hit on the correct sequence. The probability of such a chance occurrence leading to the formation of one of the smallest protein molecules is unimaginably small. Within the boundary conditions of time and space which we are considering, it is effectively zero." (Brooks, J., "Origins of Life," Lion: Tring, Hertfordshire UK, 1985, pp.84-85). "There is a more fundamental reason why the random self-assembly of proteins seems a non-starter. This has to do not with the formation of the chemical bonds as such, but with the particular order in which the amino acids link together. Proteins do not consist of any old peptide chains; they are very specific amino acid sequences that have specialized chemical properties needed for life. However, the number of alternative permutations available to a mixture of amino acids is super-astronomical. A small protein may typically contain 100 amino acids of 20 varieties. There are about 10130 (which is I followed by a 130 zeros) different arrangements of the amino acids in a molecule of this length. Hitting the right one by accident would be no mean feat. Getting a useful configuration of amino acids from the squillions of useless combinations on offer can be thought of as a mammoth information retrieval problem, like trying to track down a site on the internet without a search engine." (Davies, P.C.W., "The Fifth Miracle: The Search for the Origin of Life," Penguin: Ringwood Vic, Australia, 1998, p.61). "The account of the origin of life that I shall give is necessarily speculative; by definition, nobody was around to see what happened. ... The simplified account I shall give is probably not too far from the truth. We do not know what chemical raw materials were abundant on earth before the coming of life, but among the plausible possibilities are water, carbon dioxide, methane, and ammonia ... Chemists have tried to imitate the chemical conditions of the young earth. They have put these simple substances in a flask and supplied a source of energy such as ultraviolet light or electric sparks-artificial simulation of primordial lightning. After a few weeks of this, something interesting is usually found inside the flask: a weak brown soup containing a large number of molecules more complex than the ones originally put in. In particular, amino acids have been found-the building blocks of proteins ... More recently, laboratory simulations of the chemical conditions of earth before the coming of life have yielded organic substances called purines and pyrimidines. These are building blocks of the genetic molecule, DNA itself. Processes analogous to these must have given rise to the 'primeval soup' which biologists and chemists believe constituted the seas some three to four thousand million years ago. The organic substances became locally concentrated, perhaps in drying scum round the shores, or in tiny suspended droplets. Under the further influence of energy such as ultraviolet light from the sun, they combined into larger molecules. ... At some point a particularly remarkable molecule was formed by accident. We will call it the Replicator. It ... had the extraordinary property of being able to create copies of itself." (Dawkins, R., "The Selfish Gene," , Oxford University Press: Oxford UK, New edition, 1989, pp.14-15. Emphasis original). "This example is the problem of how life originated on Earth. .... Cumulative selection is the key to all our modern explanations of life. ... but it had to get started, and we cannot escape the need to postulate a single-step chance event in the origin of cumulative selection itself. ... And that vital first step was a difficult one because, at its heart, there lies what seems to be a paradox. The replication processes that we know seem to need complicated machinery to work. ... . The theory of the blind watchmaker is extremely powerful given that we are allowed to assume replication and hence cumulative selection. But if replication needs complex machinery, since the only way we know for complex machinery ultimately to come into existence is cumulative selection, we have a problem. ... So, cumulative selection can manufacture complexity while single-step selection cannot. But cumulative selection cannot work unless there is some minimal machinery of replication and replicator power, and the only machinery of replication that we know seems too complicated to have come into existence by means of anything less than many generations of cumulative selection!." (Dawkins, R., "The Blind Watchmaker: Why the Evidence of Evolution Reveals a Universe Without Design," W.W. Norton & Co: New York NY, 1986, pp.139-141). "Our question was, how much luck are we allowed to assume in a theory of the origin of life on Earth? ... . Therefore we have at our disposal, if we want to use it, odds of 1 in 100 billion billion as an upper limit (or 1 in however many available planets we think there are) to spend in our theory of the origin of life. This is the maximum amount of luck we are allowed to postulate in our theory. Suppose we want to suggest, for instance, that life began when both DNA and its protein-based replication machinery spontaneously chanced to come into existence. We can allow ourselves the luxury of such an extravagant theory provided that the odds against this coincidence occurring on a planet do not exceed 100 billion billion to one." (Dawkins, 1986, pp.143,146) . "If the theory that DNA and its copying machinery arose spontaneously is so improbable that it obliges us to assume that life is very rare in the universe, and may even be unique to Earth, our first resort is to try to find a more probable theory. So, can we come up with any speculations about relatively probable ways in which cumulative selection might have got its start? The word 'speculate' has pejorative overtones, but these are quite uncalled for here. We can hope for nothing more than speculation when the events we are talking about took place four billion years ago and took place, moreover, in a world that must have been radically different from that which we know today." (Dawkins, 1986, p.147). "But how did the whole process start? To answer that, we have to go back a very long time, more than 3,000 million years, probably as long as 4,000 million years. In those days the world was very different. There was no life, no biology, only physics and chemistry, and the details of the Earth's chemistry were very different. Most, though not all, of the informed speculation begins in what has been called the primeval soup, a weak broth of simple organic chemicals in the sea. Nobody knows how it happened but, somehow, without violating the laws of physics and chemistry, a molecule arose that just happened to have the property of self-copying - a replicator." (Dawkins, R., "Climbing Mount Improbable," Penguin: London, 1996, p.259). "Life may be common in the universe, but we are also at liberty to speculate that it is exceedingly rare. It therefore follows that the kind of event we are seeking, when we speculate about the origin of life, could be a very very improbable event: not the kind of event that we can expect to duplicate in the laboratory and not the kind of event that a chemist will deem `plausible'. This is an interesting paradox ...We could be actively seeking a theory with the specific property that, when we find it, we shall judge it highly implausible! Looking at the matter in one way, we might even be positively worried if a chemist manages to support a theory of the origin of life which, using ordinary standards of probability, we judge to be plausible. On the other hand life seems to have arisen during the first half billion of the Earth's 4.5 billion years; we've been here for eight parts in nine of the Earth's age and my intuition is still that the arising of life on a planet is not all that unexpected an event." (Dawkins, 1996, p.261). "The name comes from Fred Hoyle's amusing image of the Boeing 747 and the scrapyard. I am not sure whether Hoyle ever wrote it down himself, but it was attributed to him by his close colleague Chandra Wickramasinghe and is presumably authentic. Hoyle said that the probability of life originating on Earth is no greater than the chance that a hurricane, sweeping through a scrapyard, would have the luck to assemble a Boeing 747. Others have borrowed the metaphor to refer to the later evolution of complex living bodies, where it has a spurious plausibility. The odds against assembling a fully functioning horse, beetle or ostrich by randomly shuffling its parts are up there in 747 territory. This, in a nutshell, is the creationist's favourite argument - an argument that could be made only by somebody who doesn't understand the first thing about natural selection: somebody who thinks natural selection is a theory of chance whereas - in the relevant sense of chance - it is the opposite." (Dawkins, R., "The God Delusion," Bantam Press: London, 2006, p.113). "It is surprising how necessary such consciousness-raising is, even in the minds of excellent scientists in fields other than biology. Fred Hoyle was a brilliant physicist and cosmologist, but his Boeing 747 misunderstanding, and other mistakes in biology such as his attempt to dismiss the fossil Archaeopteryx as a hoax, suggest that he needed to have his consciousness raised by some good exposure to the world of natural selection. At an intellectual level, I suppose he understood natural selection. But perhaps you need to be steeped in natural selection, immersed in it, swim about in it, before you can truly appreciate its power." (Dawkins, 2006, p.117). "It is now generally agreed that if life arose spontaneously by natural processes-a necessary assumption if we wish to remain within the realm of science-it must have arisen fairly quickly, more in a matter of millennia or centuries, perhaps even less, than in millions of years. Even if life came from elsewhere, we would still have to account for its first development. Thus we might as well assume that life started on earth. How this momentous event happened is still highly conjectural, though no longer purely speculative. The clues come from the earth, from outer space, from laboratory experiments, and, especially, from life itself. The history of life on earth is written in the cells and molecules of existing organisms. Thanks to the advances of cell biology, biochemistry and molecular biology, scientists are becoming increasingly adept at reading the text. An important rule in this exercise is to reconstruct the earliest events in life's history without assuming they proceeded with the benefit of foresight. Every step must be accounted for in terms of antecedent and concomitant events. Each must stand on its own and cannot be viewed as a preparation for things to come. Any hint of teleology must be avoided." (de Duve, C., "The Beginnings of Life on Earth," American Scientist, Vol. 83, September-October 1995, pp.428-437). "Hoyle said last week that, although content in the mid-1960s to give the supposed connection between the microwave background radiation and the big bang a `good run for its money' he had now lost patience with this approach. Two of his reasons involve the origin of life-the calculated time since the origin of the Universe of 10,000 million years or so is not enough to account for the evolution of living forms, while adiabatic expansion of the Universe would have been inimical to the evolution of highly ordered forms. But Hoyle also said that new evidence in support of the big-bang hypothesis was emerging only slowly. Yet `when people are on the right track, new facts emerge quickly', Hoyle said he would change his view if it turned out that neutrinos have a mass of between 20 and 30 electron volts. The essence of his argument last week was that the information content of the higher forms of life is represented by the number 1040 000 - representing the specificity with which some 2,000 genes, each of which might be chosen from 1020 nucleotide sequences of the appropriate length, might be defined. Evolutionary processes would, Hoyle said, require several Hubble times to yield such a result. The chance that higher life forms might have emerged in this way is comparable with the chance that `a tornado sweeping through a junk-yard might assemble a Boeing 747 from the materials therein'. Hoyle acknowledged that steady-state theories of cosmologies, of which he was one of the chief exponents in the 1950s, are not now tenable because of the evidence for evolutionary galactic and stellar processes. But the big-bang view is similarly not tenable because of the way in which it implies the degradation of information. Of adherents of biological evolution, Hoyle said he was at a loss to understand `biologists' widespread compulsion to deny what seems to me to be obvious'. (Hoyle, F., in "Hoyle on evolution," Nature, Vol. 294, 12 November 1981, p.105). "The popular idea that life could have arisen spontaneously on Earth dates back to experiments that caught the public imagination earlier this century. If you stir up simple nonorganic molecules like water, ammonia, methane, carbon dioxide and hydrogen cyanide with almost any form of intense energy, ultraviolet light for instance, some of the molecules reassemble themselves into amino acids, a result demonstrated about thirty years ago by Stanley Miller and Harold Urey. The amino acids, the individual building blocks of proteins can therefore be produced by natural means. But this is far from proving that life could have evolved in this way. No one has shown that the correct arrangements of amino acids, like the orderings in enzymes, can be produced by this method. No evidence for this huge jump in complexity has ever been found, nor in my opinion will it be. Nevertheless, many scientists have made this leap-from the formation of individual amino acids to the random formation of whole chains of amino acids like enzymes-in spite of the obviously huge odds against such an event having ever taken place on the Earth, and this quite unjustified conclusion has stuck. In a popular lecture I once unflatteringly described the thinking of these scientists as a `junkyard mentality'. As this reference became widely and not quite accurately quoted I will repeat it here. A junkyard contains all the bits and pieces of a Boeing 747, dismembered and in disarray. A whirlwind happens to blow through the yard. What is the chance that after its passage a fully assembled 747, ready to fly, will be found standing there? So small as to be negligible, even if a tornado were to blow through enough junkyards to fill the whole Universe." (Hoyle, F., "The Intelligent Universe," Michael Joseph: London, 1983, pp.18-19). "In particular, the enzymes are a large class of molecule that for the most part runs across the whole of biology, without there being any hint of their mode of origin. There are about two thousand of them. Enzymes are polypeptides (proteins) that specialize in speeding up biological reactions, which they do with far greater efficiency than man-made catalysts. They act both to build up and to break down a wide range of biosubstances. The surface shapes of enzymes are critical to their function. ... Surface shape is determined by the particular sequence of amino acids in the polypeptide structure. One can think of getting the surface shape right in two stages of approximation. There are some ten to twenty distinct amino acids which determine the basic backbone of the enzyme and these simply must be in the correct position in the polypeptide structure. The rest of the amino acids, usually numbering a hundred or more, then control the finer details of the surface shape. There are also the active sites that eventually promote the biochemical reactions in question, and these too must be correct in their atomic forms and locations. Consider now the chance that in a random ordering of the twenty different amino acids which make up the polypeptides it just happens that the different kinds fall into the order appropriate to a particular enzyme. The chance of obtaining a suitable backbone can hardly be greater than one part in 1015, and the chance of obtaining the appropriate active site can hardly be greater than one part in 105. Because the fine details of the surface shape can be varied we shall take the conservative line of not 'piling on the agony' by including any further small probability for the rest of the enzyme. The two small probabilities we are including are quite enough. They have to be multiplied, when they yield a chance of one part in 1020 of obtaining the required enzyme in a functioning form. By itself, this small probability could be faced, because one must contemplate not just a single shot at obtaining the enzyme, but a very large number of trials such as are supposed to have occurred in an organic soup early in the history of the Earth. The trouble is that there are about two thousand enzymes, and the chance of obtaining them all in a random trial is only one part in (1020)2000 = 1040,000, an outrageously small probability that could not be faced even if the whole universe consisted of organic soup. If one is not prejudiced either by social beliefs or by a scientific training into the conviction that life originated on the Earth, this simple calculation wipes the idea entirely out of court." (Hoyle, F. & Wickramasinghe, N.C., "Evolution from Space," Paladin: London, 1981, Reprinted, 1983, pp.19-21). "In this way, amino acids can become linked together into long chains, named polypeptides or proteins. A chain of 100 links would be considered rather short in biology. Yet with 20 possible choices for R at each link, the total number of chains with 100 links is 20100, or 10130, to the nearest order of magnitude. The longest protein chains run to about 2000 links, for which the number of possibilities is 202000, or about l02600, truly a big number. Journalists like to use the phrase `astronomical numbers' for what they considered to be immensely large, but these numbers are 'super-astronomical' in their largeness. Big numbers in astronomy usually have about 40 zeros, as have those in physics. Even the ratio of the largest distances in astronomy to the smallest lengths in physics has only about 60 zeros." (Hoyle, F. & Wickramasinghe, N.C., "Our Place in the Cosmos: The Unfinished Revolution," Phoenix: London, 1993, Reprinted, 1996, pp.151-152). "Even in the simple case of a bacterium, the genome consists of some 4 x 106 nucleotides, and the number of combinatorially possible sequences is 44 million = 102.4 million The expectation probability for the nucleotide sequence of a bacterium is thus so slight that not even the entire space of the universe would be enough to make the random synthesis of a bacterial genome probable. For example, the entire mass of the universe, expressed as a multiple of the mass of the hydrogen atom, amounts to about 1080 units. Even if all the matter in space consisted of DNA molecules of the structural complexity of the bacterial genome, with random sequences, then the chances of finding among them a bacterial genome or something resembling one would still be completely negligible. It can naturally be objected that our statistical arguments are based upon the assumption of an entity with the complexity of a bacterial genome, while the historical process of the origin of life possibly took place by way of simpler forms of life. However, an appropriate analysis, based on probability theory, shows that not even an optimised enzyme molecule can arise in a random synthesis. Even the smallest catalytically active protein molecules of the living cell consist of at least a hundred amino acid residues, and they thus already possess more than 10130 sequence alternatives ... These striking numerical examples allow us to conclude with Monod that the design of a primitive organism has about the same chance of arising by pure chance, in a molecular roulette, as a general textbook of biochemistry has of arising by the random mixing of a sufficient number of letters." (Kuppers, B-O., "Information and the Origin of Life," MIT Press: Cambridge MA, 1986, Reprinted, 1990, p.60). "In July 1995 the entire DNA sequence of the bacterium Haemophilus influenzae, 1.8 million base-pairs, was elucidated, followed three months later by the sequence of a second parasitic bacterium. In April 1996 the complete sequence (12 million base-pairs) of yeast was announced, and in August 1996 the first complete sequence of a free-living bacterium, Methanococcus, which has 1.7 million base-pairs and about 1700 genes, perhaps close to the minimum necessary for independent life." (Patterson, C., "Evolution," , Cornell University Press: Ithaca NY, Second edition, 1999, p.23). Some 1,500 different gene products would seem the bare minimum to sustain this level of metabolic activity. For instance, the Methanococcus jannaschii genome (the first to be sequenced for the archaea domain) possesses about 1,738 gene products. This organism contains the enzymatic machinery for energy metabolism and for the biosynthesis and processing of sugars, nucleotides, amino acids, and fatty acids. In addition, the M. jannaschii genome can encode for repair systems, DNA replication, and the cell division apparatus. The genes for protein synthesis and secretion and the genes that specify the construction and activity of the cell membrane and envelope also belong as part of this organism's genome." (Rana, F.R. & Ross, H.N., "Origins of Life: Biblical And Evolutionary Models Face Off," Navpress: Colorado Springs CO, 2004, pp.161-162).